547 p., 15,5 x 21,0 cm. Almost without exception, Freud himself and the editors of his work who succeeded him excluded his scholarly publications from the time before psychoanalysis was founded from his Complete Works. 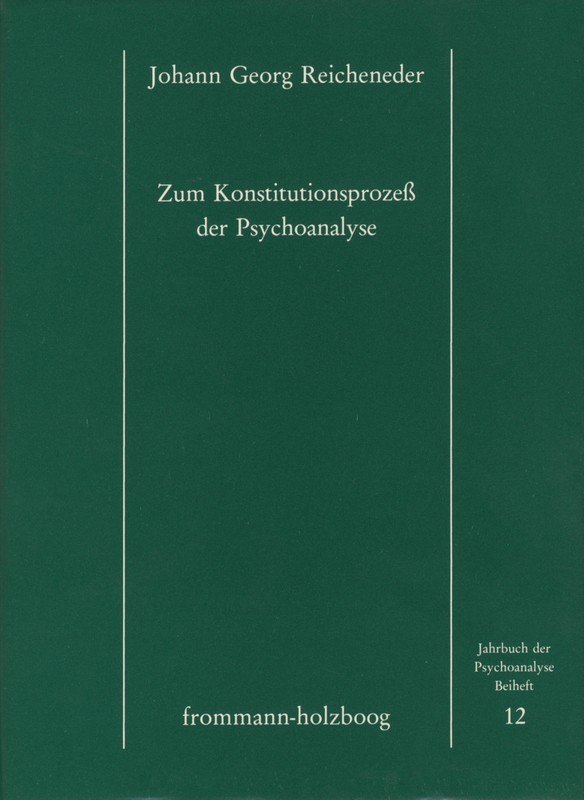 Based on all of Freud’s known pre-psychoanalytic works up to 1985, this study reconstructs the practical and theoretical process of development up to the ›Studien über die Hysterie‹ (Studies on Hysteria). This analysis shows clearly the influence of the advanced contemporary approaches of neuroanatomy and neurophysiology in this process, how the connection was made through Joseph Breuer to Charcot’s and Berheim’s research on hysteria in France and finally the problems pertaining to the theory of science which Freud faced in the detachment from the scientific paradigm of the research on psychoanalysis. Reicheneders Leistung besteht vor allem darin, dem Leser den Weg aufzuzeigen, den Freud zurücklegen mußte, um das Somatische mit dem Psychischen zum Psychosomatischen verbinden zu können, das, angereichert durch die Phantasien, schließlich zum Psychoanalytischen werden sollte [...] Eine kluge und detailgenaue Studie.